With rectangle lenses this rimless is delicate and lightweight . Soft nose pads ensure a comfortable fit and tapered arms are complimented by smooth temple tips in a variety of 3 colours. 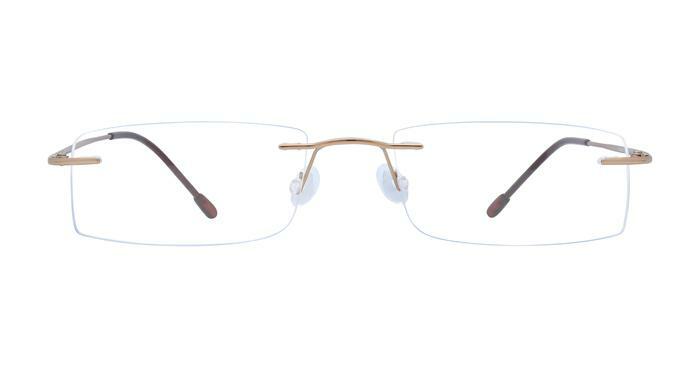 Made from titanium these frames are hypoallergenic and corrosion resistant so they wont tarnish or lose their colour. Excellent lightweight pair of glasses. Great quality and very comfortable. Did not fit as well as the samples did but I really liked the style and weight.